Trade shows are a big part of the marketing strategy for many companies. If you participate in trade shows regularly, you know how crucial they can be – and how many resources they take to pull off. If you’re going to invest in a trade show, you need to maximize your investment. That means getting as many eyeballs on your brand as possible and making the most of the connections you make at the show. For that, you need an ultimate sales funnel to take a customer all the way through the funnel from first contact to eventual sale. Here, we’ll talk about how you can create that ultimate sales funnel for your next trade show and maximize the ROI from your strategy. Retention and Referral: When you keep the customer after the initial engagement, or get repeat business, or get referrals from the customer to new customers. Trade shows mainly help in the awareness and consideration phases and generate leads, and sometimes qualified leads. There are times during a show, though, that you actually develop prospects because they show an active interest in you and you start the sales process. What that boils down to is getting as many leads as possible. Trade shows are great at generating leads, but what do we do with them? That’s where the ultimate sales funnel comes in. A lot goes into generating awareness, and most of it has to do with your display. You need to be creative, have an aesthetically-appealing booth, and create a great first impression. 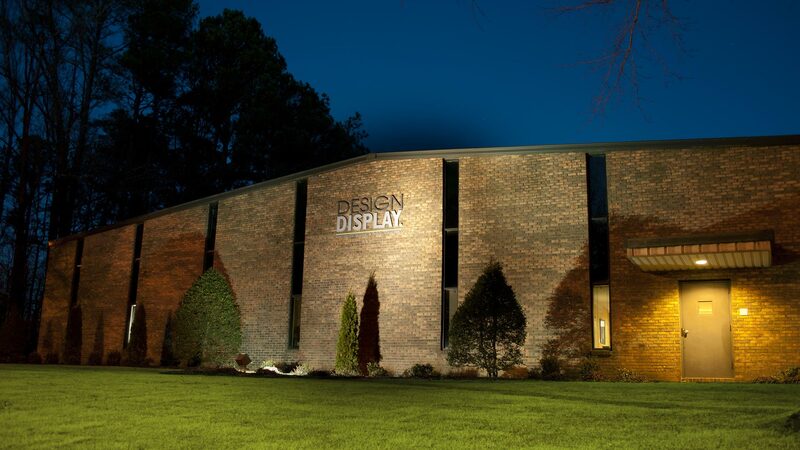 If your display catches their eye, they’ll come. It’s not enough to look great, though; you need to quickly and concisely communicate the benefit they’ll receive by coming to your booth. As we mentioned, there’s actually a step before the first step. That comes with pre-show meetings. Reach out to attendees (many shows provide email lists) and invite them to come by your display before the show starts just so you can introduce yourself to them and – importantly – learn about them. This isn’t a time to sell; it’s a time to communicate and listen. Once you’ve generated awareness, you need to get contact information. You can just ask them for it, but most people won’t give you their information unless you provide something in return. It can be a drawing for prizes. You can have giveaways. You can also offer discounts and special deals in exchange for their info. But you need to get it. While they’re there, you can move them into the consideration phase by having great literature that – and this is key – doesn’t try to sell. All you’re trying to do is educate them about something they care about and tell them how that bit of information you just gave them benefits them in some way. If you do that, they’ll start considering you. If you try to sell prematurely, they won’t. Selling comes later. Once you have their information, then you continue consideration by feeding them information. Email is a great way to accomplish this. You can put your contacts into your email database and then send a series of emails to them. This is called email drip marketing. Drip marketing sends them an email. Then, based off what they do with that email, they get another email with another angle or focus – or perhaps it’s a video, or a white paper. You move through the drip funnel until they either take action or unsubscribe. You can also call them and do other normal sales activities, but email drip marketing automates part of the process and helps really cultivate customers from prospects. It helps move you into the decision stage where they get ready to decide. Then, hopefully, they take action and become a customer – all from meeting you at a trade show. Your trade show is a beginning. It’s a means to an end, not an end itself. You want to use it to get as much info as you can about your potential customers and move them through the sales funnel until they become a customer. Remember: this approach is about building relationships and building trust, not selling. The selling will happen naturally. Buyers are curious by nature, especially whenever there’s a potential benefit for them. If you educate them and focus on those benefits – and address their pain points without being pushy or self-promotional – then you have a better chance of converting them. Build a sales funnel that incorporates your trade show and you’ll have a better shot at success. Design Display creates custom trade show displays for any industry, designed to grab attention and clearly communicate a brand message. Contact us for more information on creating the ideal trade show booth for your next show.